TAMPA – Faye Culp, a former state representative from South Tampa, has endorsed Aakash Patel for Hillsborough County Commission, District 1. 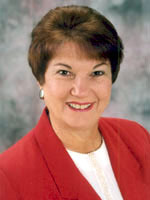 Culp served on the Hillsborough County School Board from 1998 to 1992, and was subsequently elected to the District 57 House seat in 1995 where she served until 1998. She also served a second stint in the Florida House from 2003-2010. Culp and Patel have become friends through their involvement in the South Tampa Chamber of Commerce and other activities. Florida Gov. Rick Scott appointed Patel to the Florida Early Learning Advisory Council and as chairman of the Early Learning Coalition of Hillsborough County. Patel said he appreciated Culp’s support. Patel, the millennial founder of Elevate, Inc. is running for Hillsborough County Commission District 1. He said he looks forward to working on issues important to residents of Hillsborough County including education, public safety and government efficiency among many others. Two other candidates are running for the District 1 seat – Patel’s fellow Republican C. Todd Marks and Democrat Jen McDonald. Photo shows Carlos Lopez-Cantera, left, and Aakash Patel.